AMclassic’s products reflect the experience of skilled artisans and the creativity of experienced designers. 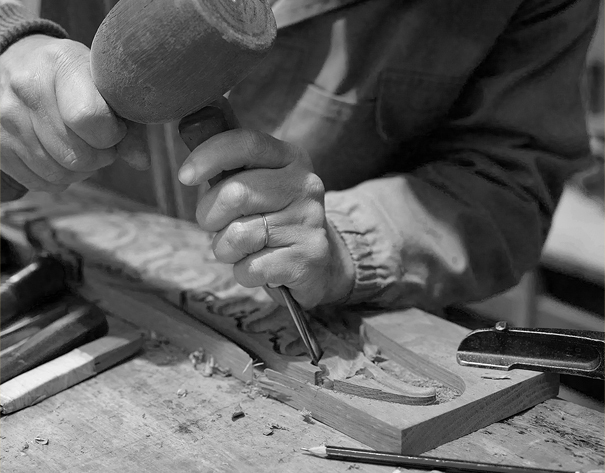 Our pieces depict floral or natural motifs, engraved using traditional carving techniques. They are delicate, elegant and eclectic, displaying a clearly neoclassical influence through curved lines and distinct silhouettes. Even though you can choose from a wide variety of finishes, we recommend adding an aging effect to your favorite color to get the full classical experience. Whenever you think of royalty, nobleness and Period furniture, you’re thinking of AMclassic. AMclassic is an AMfurniture Group brand, which means its values and principles have deep roots. Founded in 1962, it is now an established reference in the furniture sector worldwide. Its presence in over 60 countries is a testimony of quality, singularity and know-how.